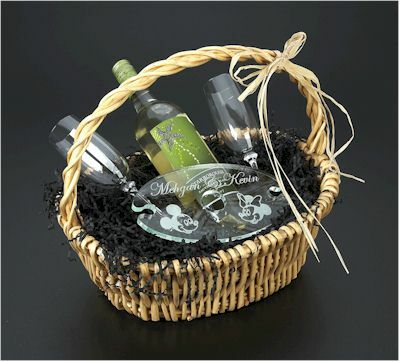 Just one of our designs.....let us customize a basket for you! Currently we offer wicker baskets which are available in either a light or dark tan. Periodically we will have other baskets available for special occasions and for limited times. Please feel free to contact us with requests or questions about our basket selection. *sorry wine not included.